Poor Conservatory Appearance Slipped/Failed/Discoloured Roof Panels Etc. Slipped glazing panel – gap at the top of the panel. 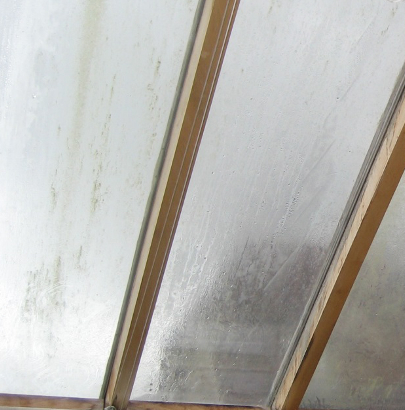 The open gap at the top of the conservatory roof caused by a slipped panel not only results in leaks but is also unsightly as it allows debris such as leaves, and insects to enter the conservatory. 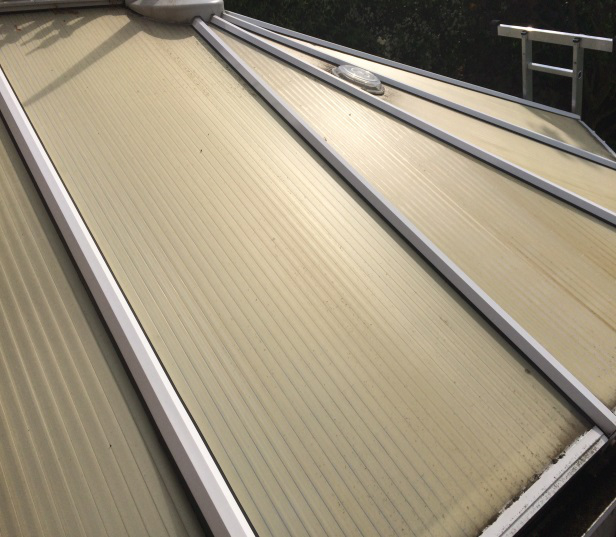 In Polycarbonate roof conservatories this debris and dead insects causes unsightly marks but there is generally no immediate danger as Polycarbonate roof panels are fairly lightweight. Glass roof panels in contrast are up to ten times heavier and a slipped panel can be extremely dangerous as it can slide unexpectedly into the garden. This is a common problem. 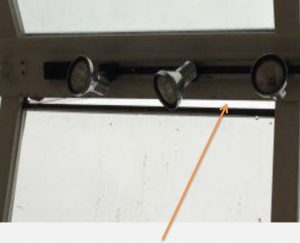 Our solution is to fit the panels correctly back into their rebates, after lifting the glazing bar covers, and to secure them with a special screw clip against any further movement. Polycarbonate and plastic roofs have a special Ultra-violet blocking sacrificial protective layer on the outside surface that gives the conservatory roof panel its longevity. Typically this begins to fail after fifteen to twenty years, depending on the quality of the roof; then the conservatory roof loses its sparkle and begins to turn beige/light brown. The next stage of failure is cracking and holing due to hailstone penetration because without any sun protection the Polycarbonate becomes brittle. PVC roofs, which in contrast to the clear appearance of polycarbonate have a blue tint, have a much shorter life they can fail in as short as ten or twelve years. Before: failed, dirty, discoloured roof panels. 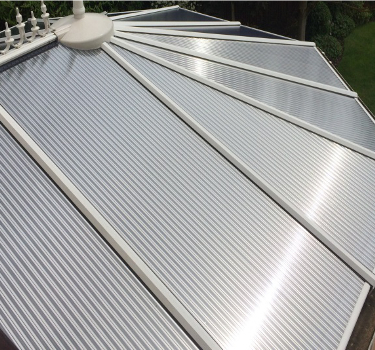 Panels after replacement – the Conservatory regains its ‘sparkle‘. 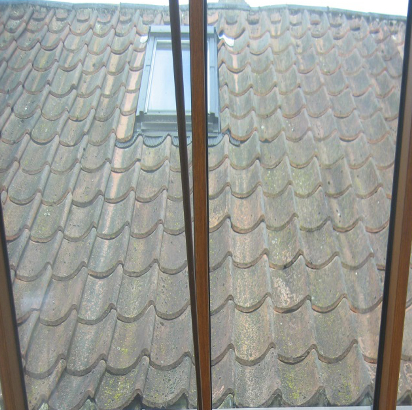 Double glazing glass roofs are made by sandwiching two pieces of glass together between a spacer bar, which contains a desiccant that dries the air now enclosed within the cavity between the panes. Over time moisture diffuses into the panel and when the desiccant is exhausted moisture condenses on the inside glass surfaces causing unsightly misting, and white staining, and a reduction in effectiveness of the insulation. 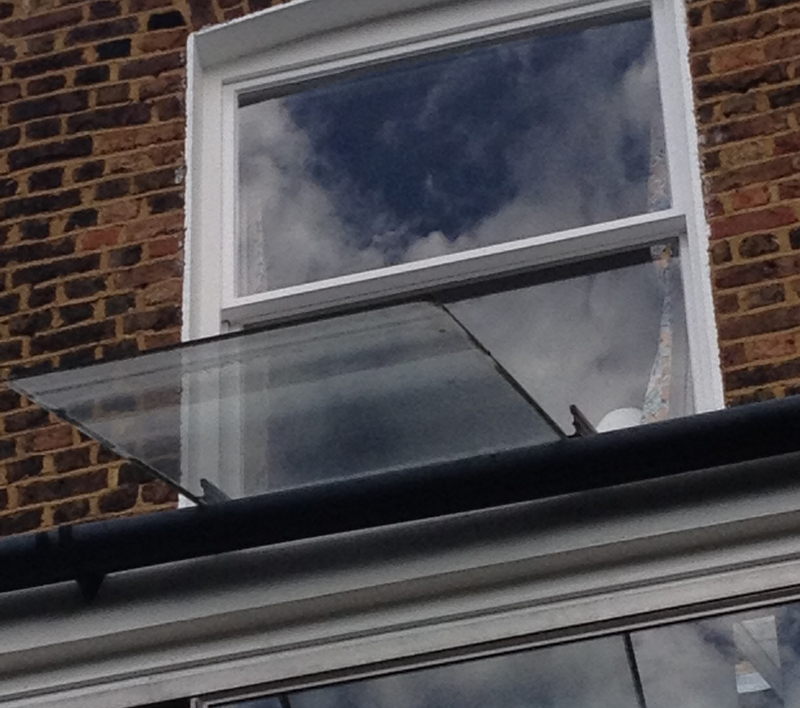 Dangerous separation of double glazing units with the top leaf slipping off the roof. The spacer bar, between the two panes is bonded to the glass with a resin, wax or adhesive. Over time the bond breaks down and results can be separation of the two glass panes, allowing moisture to enter the double glazing unit, or worst complete separation of the top pane of glass which is now unsupported and slips unexpectedly off the roof into the garden with extremely dangerous potential consequences. Deterioration due to failure of the roof panels described above and general wear that causes etching and roughness of the outer surface of the glazing, to which algae and grime can readily adhere , can result in a very significant deterioration in light levels in many cases by up to 50%. Once this occurs the only solution is to replace the roof panels; this is an opportunity to transform the conservatory back to an ‘as new’ condition, and dramatically improve light in both the conservatory and the adjacent rooms as the roof panels determines both the appearance and the comfortable use of a conservatory. CALL FREE ON 0800 840 0565, email david@hitg.co.uk, or fill out our contact form.